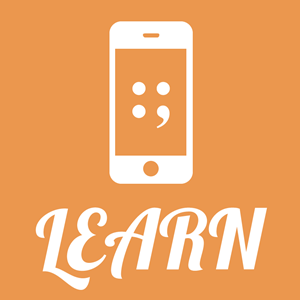 Do you use mobile apps to learn English? Mobile learning (m-learning) has been recognized as one of the main additions to the process of learning and teaching a new language. Currently, there are dozens of language learning apps in the App Store (iOS) and Play Store (Android) markets. They interact with ESL students through quizzes, games, dictionaries, podcasts and tests. This enables students to choose when and how to learn: 30 seconds or 30 minutes, at home or on the go. Equally, lecturers can now incorporate the "gamification" element into their teaching, thus raising the interest of the class for a given topic. In order to help you find an engaging application that best suits your English language level, we have examined a number of apps just to select a few that will turn your mobile device into a personal 24/7 English language teacher. The top rated dictionary app with trusted reference content from dictionary.com and Thesaurus.com. These are only a few applications out of hundreds available out there. If you have tried a great application which is not listed here, please feel free to recommend it in the comments below!